Live Psych Out this Saturday night is in memory of the late and very great Sam Andrew. 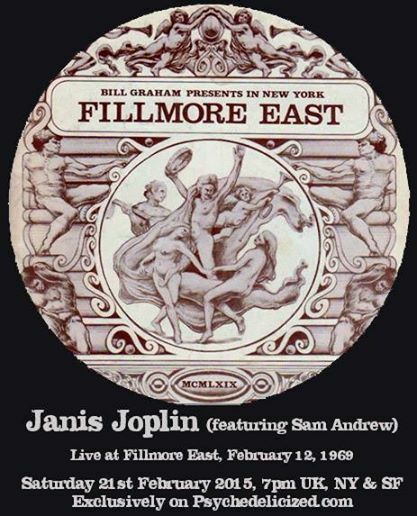 It’s a Janis Joplin show from Feb 1969 at the Fillmore East, in glorious crystal clear stereo sound, so definitely one to tune in for. Be there and raise a glass to the very talented guitarist Mr Sam Andrew! Usual times, 7pm UK, NY & SF. *Please share on all the Big Brother related sites that you know. 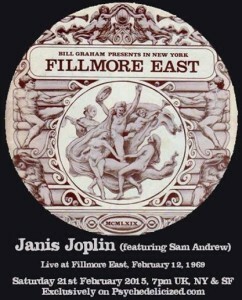 — with Janis Joplin and Sam Andrew Band. « Valentine’s Day: Rusty presents Plastic Fantastic !